As a training facility, Broadway Dance Center has revered the same philosophy for 31 years. Our goal is to provide dance instruction by integrating body, art, and intellect. Through this integration, Broadway Dance Center students are provided with one of life's most valuable survival tools; discipline. Through discipline, students gain many skills, which are highly valued in dance, life, and academic circles. A properly trained dancer develops strong concentration skills, observational and analytical thinking skills, attention to detail, the ability to rapidly perceive patterns and whole units of information, as well as knowledge of their bodies and how their bodies most efficiently function. A disciplined dancer also develops a strong sense for the musical, theatrical, and aesthetic elements of dance. Broadway Dance Center offers a standard of excellence not to be compromised. Therefore, only age-appropriate classes are offered. At Broadway Dance Center, our young dancers begin by acquiring coordination and rhythmic skills, including basic ballet terminology. As our young dancers become familiar with their bodies, working gross-motor skills along with imagination skills, their abilities progress, and greater difficulty is introduced to their dance regimen. Because dancers develop at different and individual paces, some dancers are ready for greater challenges sooner than others. Broadway Dance Center is structured to meet those needs. Very unfortunately today, many studios allow parents to sign their children up for any dance class, regardless of the child's age and abilities. While this practice positively impacts enrollment and revenue for these studios, it is not sound dance education. Without a solid foundation and understanding of the fundamental concepts of dance, a student cannot and will not excel in the study of dance. 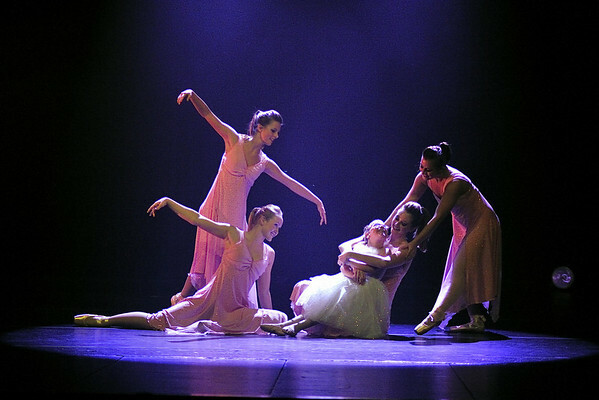 For these reasons, Broadway Dance Center strongly encourages enrollment in ballet for all of our students, as ballet is the foundation for which all other aspects of dance begin. While many dancers initially join Broadway Dance Center as a form of recreation, many leave years later as accomplished performers. We are proud of the reputation we have established. We will continue to strive for providing the best training in the area. FOR OUR DANCERS, BOTH PERSONALLY AND PROFESSIONALLY.